We review the new 50 megapixel medium format mirrorless camera from Fujifilm, the GFX 50S. 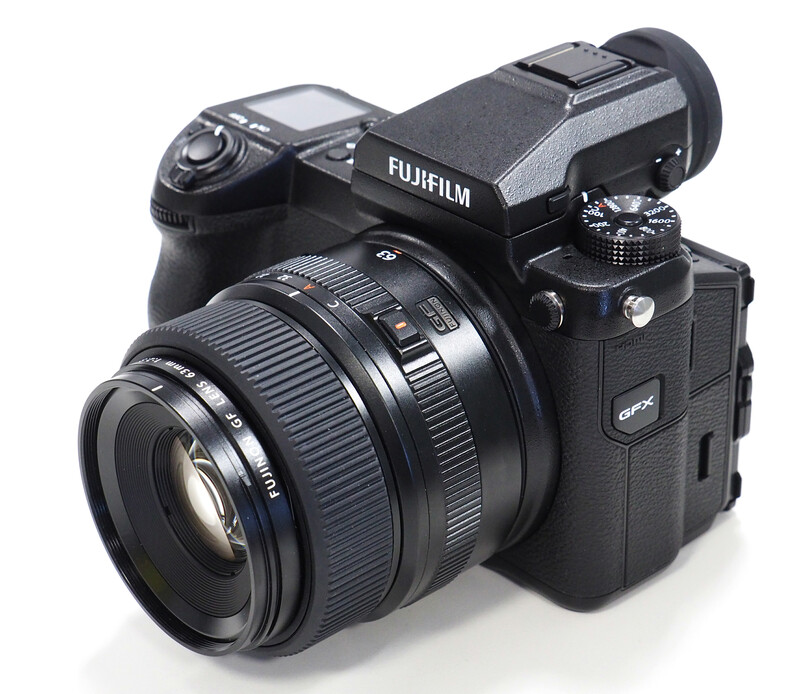 Fujifilm’s GFX 50S has a 51-megapixel medium format CMOS sensor and is a new medium format mirrorless camera system with a weather sealed body and a new Fujifilm G lens mount. Fujifilm announced the new camera at Photokina 2016, and the camera is now available with an RRP of £7600 (with lens) or £6199 without a lens. Designed to give the option of a more compact medium format camera, the Fujifilm GFX 50S lets you use it with or without the electronic viewfinder. The camera has been designed with good ergonomics in mind, with a deep grip at the front, a thumb grip at the rear, and a slight slope at the bottom of the camera, to ensure a good grip. 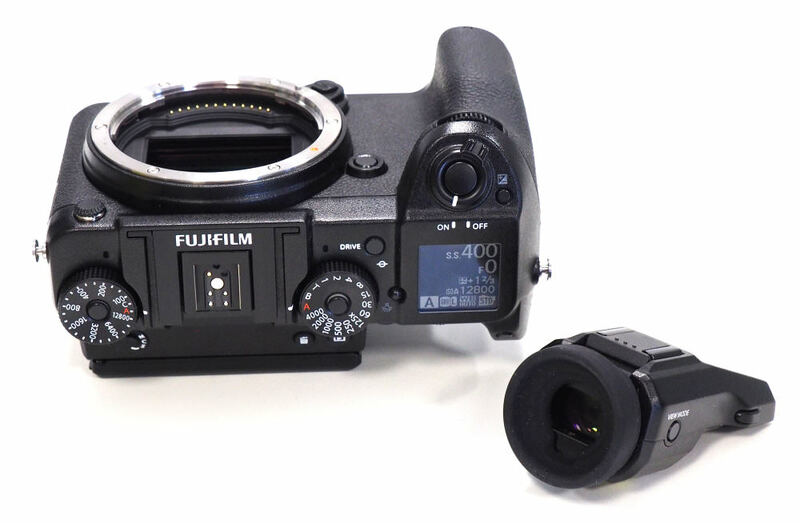 By incorporating the shutter into the camera body, Fujifilm says they are able to make their lenses smaller. They also plan to make it possible to shoot with leaf-shutter lenses. Weather-sealed magnesium alloy body. The lenses are also weather sealed, and resistant to dust, water and low temperatures, with a brass lens mount construction. The GFX is roughly the same size as a full-frame Digital SLR, and gives side access to the battery and memory card compartments, even when you have the camera attached to a tripod. This will be particularly useful for when using the camera in a studio tethered. 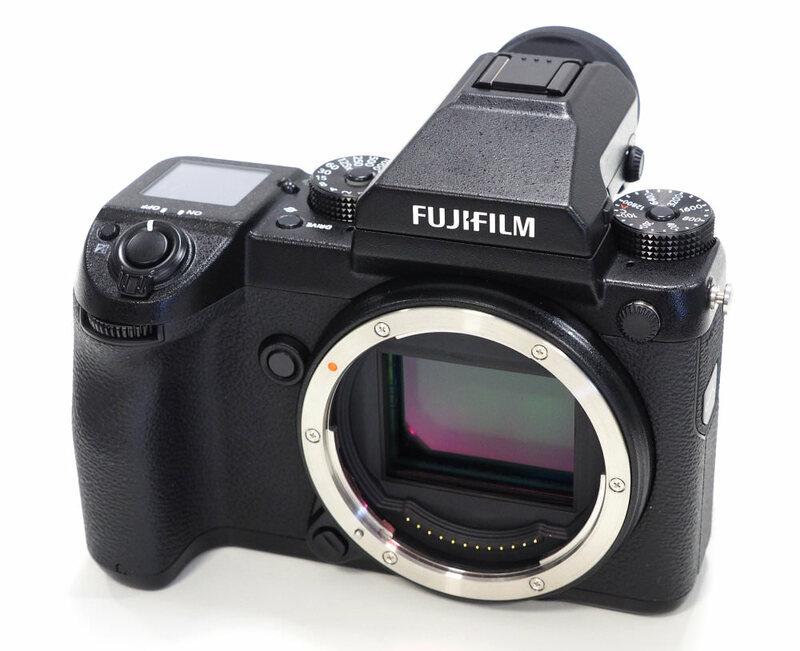 Fujifilm say that the medium format sensor has been customised for Fujifilm, with improved micro lens shape, and an optimised silicon process. The 51.4mp medium-format sensor offers a native ISO of ISO100 to ISO12800, with 14-stops of dynamic range, and 14-bit RAW. The ISO range can be extended to ISO50, all the way up to ISO102400. The medium format sensor offers larger pixels than most smaller sensors, with pixels that are 5.3 microns in size, which should mean better dynamic range, as well as better low light performance (than a sensor with smaller pixels). The camera has a 1/4000sec mechanical shutter, as well as the option to use shutter speeds up to 1/16000sec electronic shutter. The shutter is rated up to 150,000 shots. 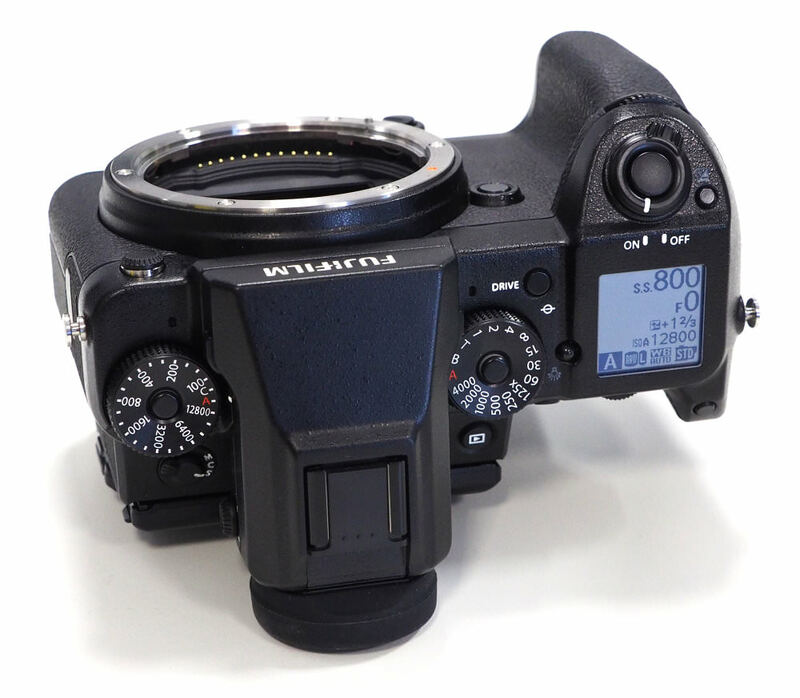 The lenses feature an aperture ring, with A for automatic, as well as C (Command Dial) so that you can adjust the aperture speed from the camera body. On the back is a 3.2inch touch-screen, with a high resolution of 2360K dots. The screen can tilt up and down, as well as a third direction, for use in portrait mode. There is a detachable 3.69m dot OLED electronic viewfinder (EVF), with a good magnification of 0.85x. There's a built-in electronic level that you can view in both the screen and EVF. The camera and optional battery grip are optimised for use vertically as well as horizontally. On top of the camera, you can find mechanical ISO and shutter speed dials. You can use the dials, or alternatively, control the shooting settings using camera controls. The Top LCD display lights up in blue and shows some information even when the camera is switched off. Built-in Wi-Fi lets you shoot remotely using your smartphone or a tablet, as well as transfer images. 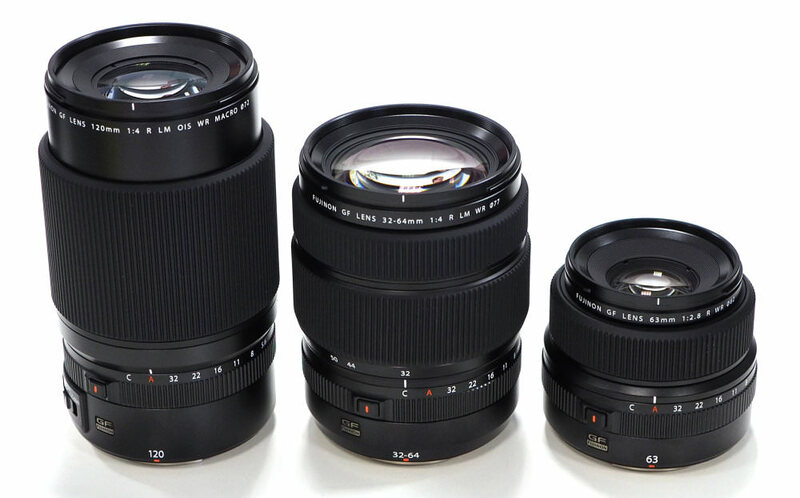 Fujifilm plans to have a total of 6 lenses available in 2017, with additional lenses planned for 2018, as well as various adapters for other lenses, including H Mount Adapter G (Optional) so that you can use Hasselblad H series lenses. The Hasselblad X1D has the smallest camera body due to using lenses with a built-in shutter, rather than the shutter being built into the camera body, on the GFX 50S and 645Z, however, this does limit the fastest shutter speed of the X1D 50c to 1/2000sec. Fujifilm cameras feature Fuji film modes (get it?) including Provia (Standard), Velvia (Vivid), Astia (Soft), Classic Chrome, Pro Neg Hi, Pro Neg Standard, Black and White, Black and White (+ filters), Sepia, Acros, and Acros (+ filters). The drive button lets you switch between the drive modes, including single, continuous, bracketing, multiple exposure, as well as the video recording mode. The GFX 50S records FullHD video at a resolution of 1080p, with 29.97/25/24 and 23.98fps available, with the camera recording stereo sound with built-in microphones. There are microphone and headphone sockets, as well as HDMI out. 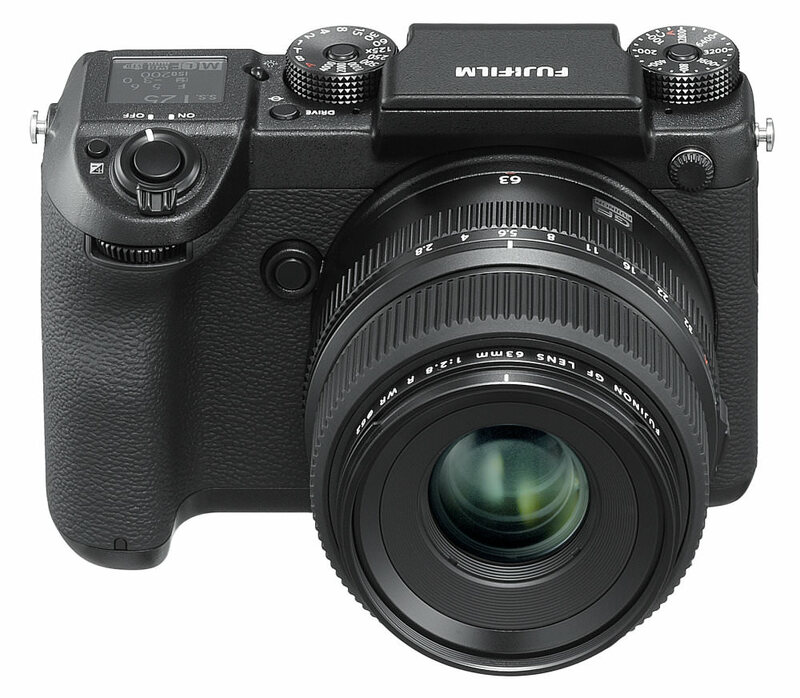 The Fujifilm GFX 50S feels extremely solid, with a weather-sealed magnesium alloy metal body. The dials are made from metal and feel good. It’s what you want when you’ve spent this amount of money on a camera. The grip is large, with a good rubber grip, and the camera feels good in the hand. The camera is noticeably large compared to most FF DSLR or APS-C DSLR cameras, particularly as the screen sits on a large box that sticks out the back of the camera. The camera’s much smaller than most medium format cameras, apart from the Hasselblad X1D, which is impressively small in comparison. The side access to the battery compartment is a little different to the usual location you expect to find on other cameras. However, this makes it possible to change the battery when the camera is mounted on a tripod. You also have side access to the camera’s ports, as well as the dual memory card slots (on the right-hand side). 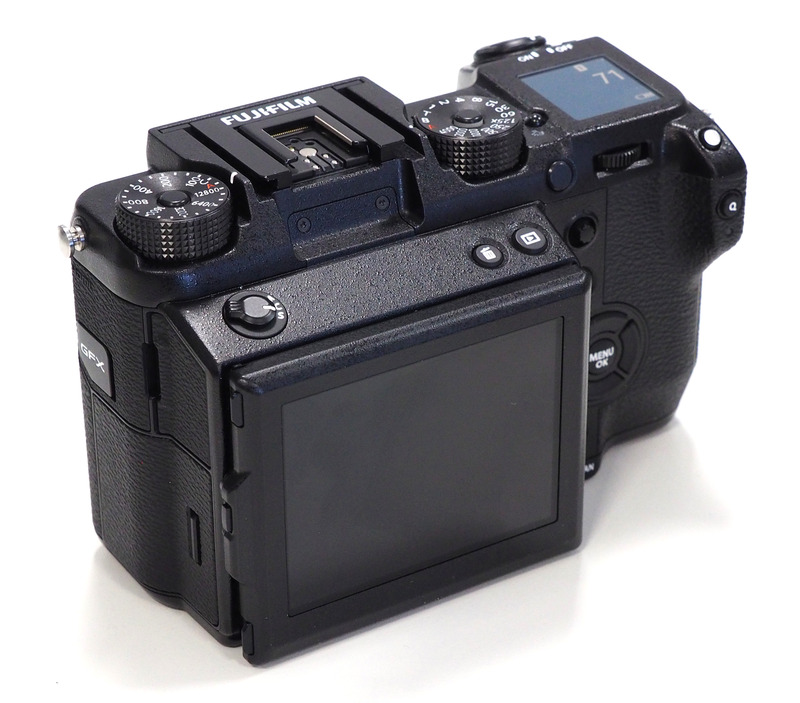 The Fujifilm GFX 50S weighs 825g with battery and memory card, or 920g with the EVF attached. When considering the weight of the system, it's worthwhile looking at the weight of the lenses that you'll be using with the camera, as medium format lenses will be noticeably larger than DSLR lenses in general. The 120mm f/4 Macro lens, with optical image stabilisation (OIS), weighs 980g, the 63mm f/2.8 R WR weights 405g, and is one of the smallest currently available, and the 32-64mm f/4 lens weighs 875g. You can set the focus position using the touch-screen, or the joystick on the back. The focus point can be set to almost any point on the screen, into the far corners, but not to the very edge. There are 117 or 425 focus points selectable. The camera uses contrast detection focus, with face and eye detection AF. The camera also features focus peaking, and up to 16.7x magnification to assist manual focus. The top ISO speed dial on the left features a central lock button, which needs to be pressed down to lock, and released to turn it, and features an A (Automatic) setting, plus a C (Custom) setting. The shutter speed dial works in the same way, with a central lock button, as well as an A setting. There are a number of unlabelled function buttons that can be customised. The 3.2inch touch-screen looks good with a high resolution of 2.36m dots and tilts up and down, as well as vertically, which is extremely useful if you’re shooting with the camera mounted on a tripod, and shooting portrait (orientation) shots. The screen colours mostly match the electronic viewfinder (EVF), although the EVF does appear slightly more saturated. The EVF features a sensor so that it will automatically switch between the EVF and screen when needed. The top LCD gives a quick view of camera settings, and what’s shown can be customised. By default, this has a blue background, but can be illuminated giving a white background. The menus are well laid out, and logical, with each section being clearly defined, and colour coded, there is movie section, where you’ll find the video options. The touch-screen makes it easy to change settings in the Q menu and the focus position. The Q button gives you quick access to the most commonly used options, although, for the most part, you shouldn’t need to use the Q button or menus, as the camera gives you direct access to controls, as well as shortcuts to exposure compensation. Wi-Fi features - The camera has built-in Wi-Fi, which lets you transfer images to your smartphone or tablet, as well as remotely shoot with the camera. You can also use this to add geotag (GPS) information to your photos. 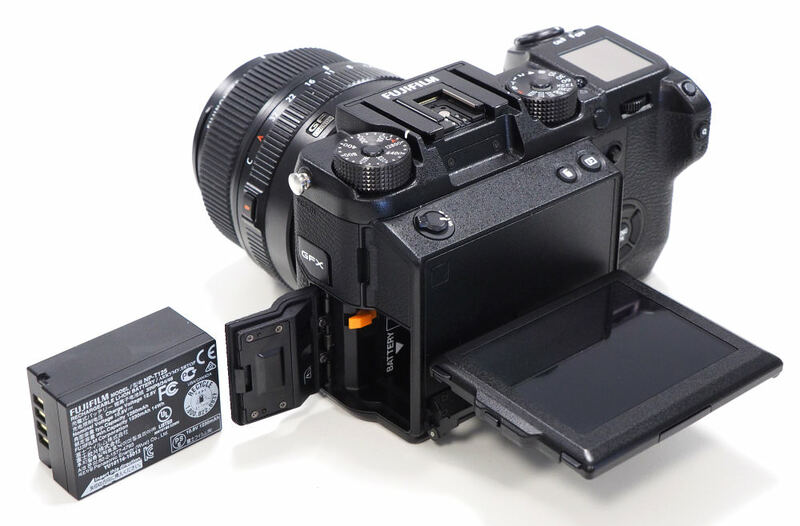 Battery life - Battery life is rated at 400 shots according to Fujifilm/ CIPA test results, which is a little low compared to a Digital SLR. We'd recommend a spare battery. Great, It has even have [b]seven different aspect ratios[/b]! No need to imagine how a picture will look cropped, it does deliver the frame that suits the subject perfectly. [b]Plus[/b] a [b]white balance setting[/b] for [b]underwater[/b] photography. -hopefully they would be offering a case too- Bravo Fuji pablophotographer p.s. where's my swimsuit? It has even have seven different aspect ratios! No need to imagine how a picture will look cropped, it does deliver the frame that suits the subject perfectly. Plus a white balance setting for underwater photography. I don't think your swimsuit will fit it. I'd wait for the proper housing. [quote] RRP of £7600 (with lens)[/quote] Is anyone selling it as a kit then? Is anyone selling it as a kit then? The rendering of the foliage of the plane tree through the arch is particularly impressive.